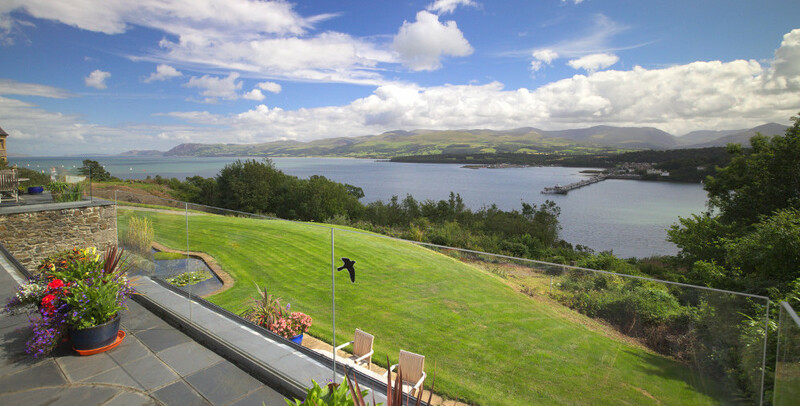 Luxury holiday apartment, Anglesey coast sleeps 4. Strictly for Non Smokers. No Pets. Unsuitable for children under 12 years. 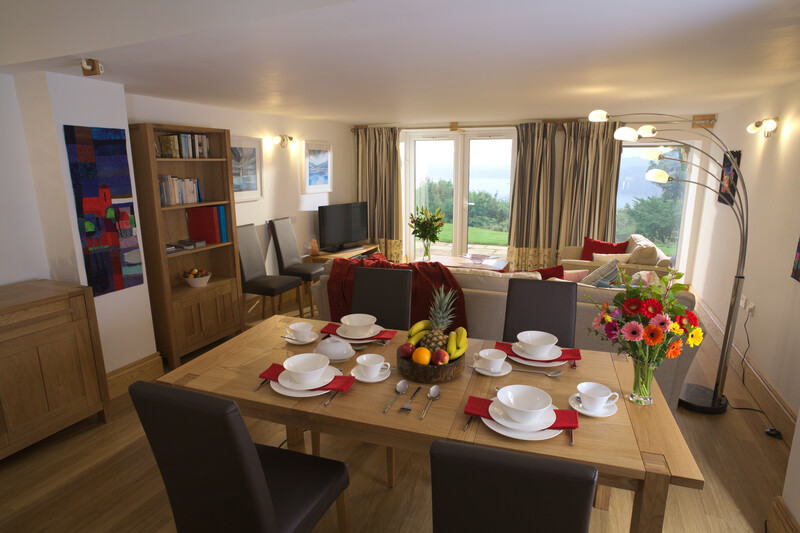 Your coastal holiday apartment offers a touch of luxury, with underfloor heating throughout. 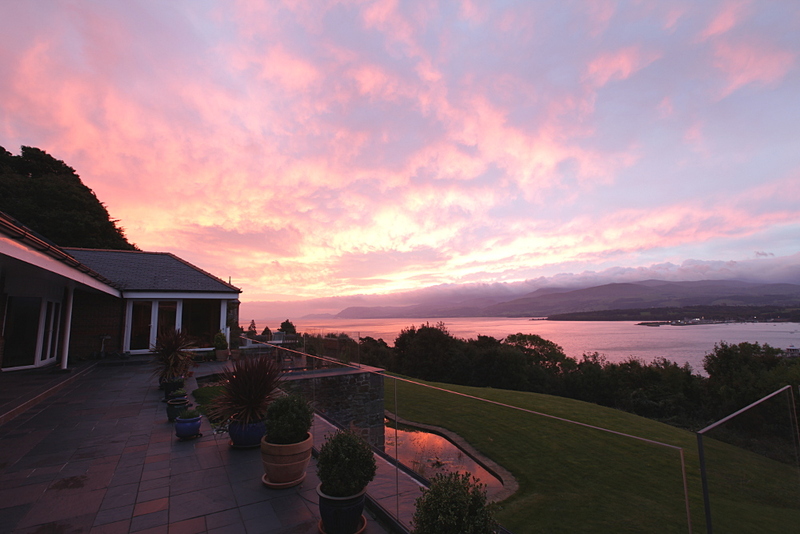 Enjoy the most breathtaking views of the Snowdonia Mountain Range beyond the Menai Strait. 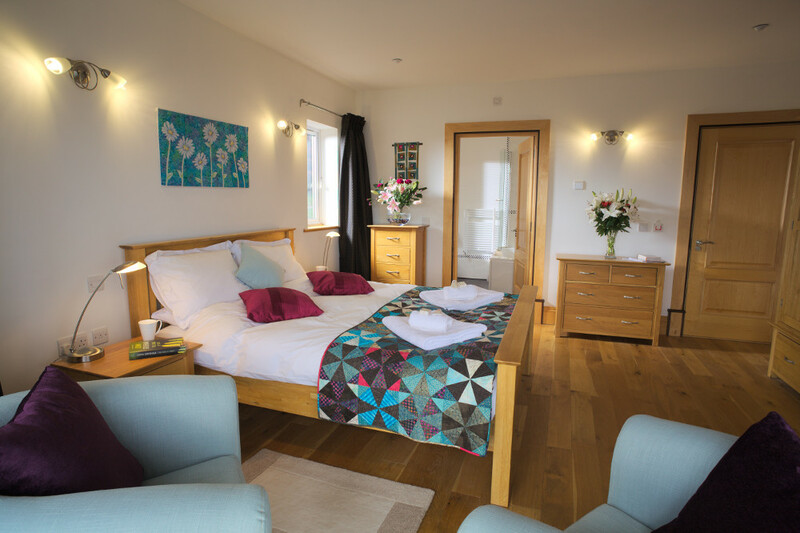 In the holiday apartment, you will find beautiful woodwork, individual Dorothy Russell handmade Quilts, and be greeted with home baking, fresh flowers and a genuine warm Anglesey welcome. 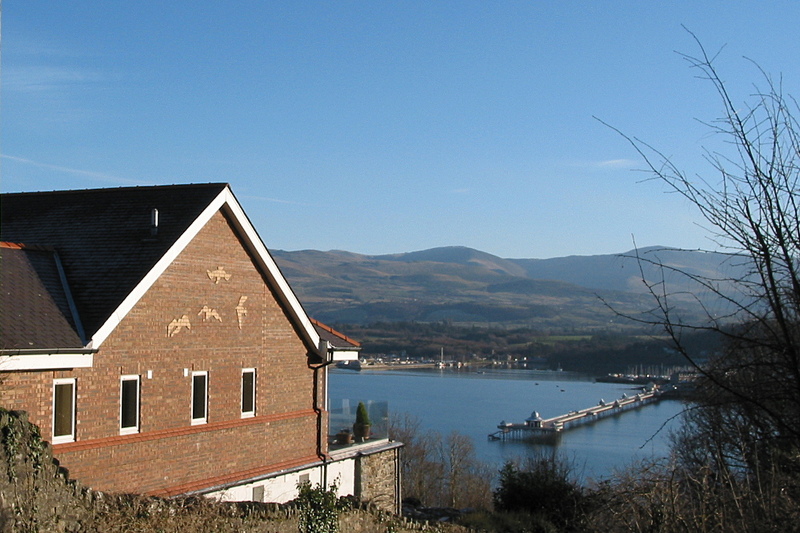 Coed y Berclas is sited in an area of Outstanding Natural Beauty (AONB), only 2 miles from Beaumaris and Menai Bridge. 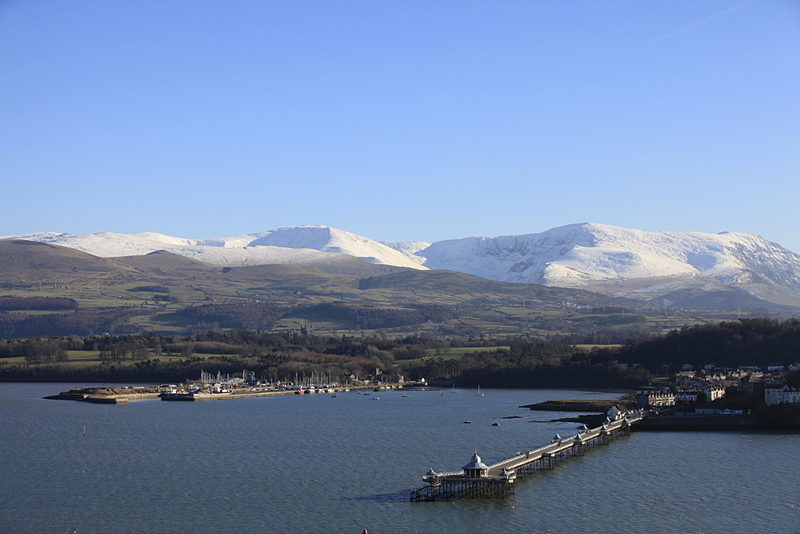 Your holiday apartment is the perfect base from which to explore Anglesey and North Wales. Here, you can escape, relax and unwind. Pubs and Restaurants for eating out are plentiful in the area. One water edge pub just 300 yards from the apartment, has lovely views over the water. This holiday apartment forms the west wing of Coed y Berclas House. 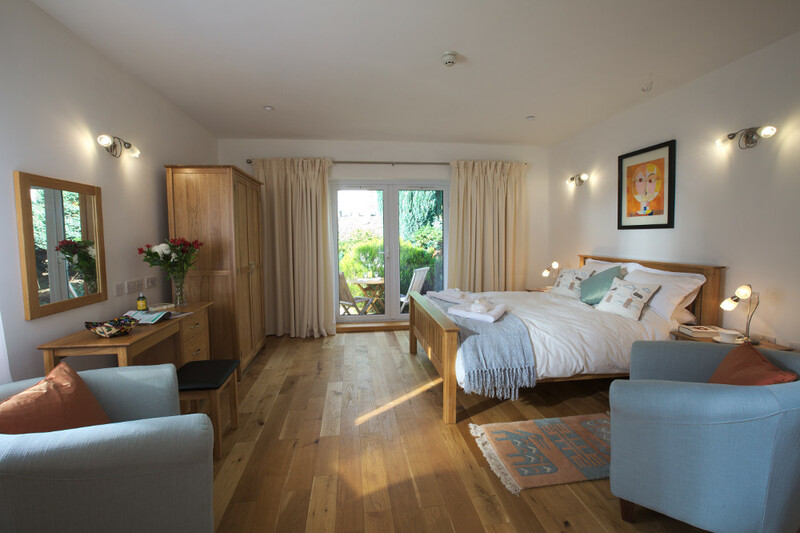 Two double bedrooms with king size beds, both en-suite, sleep four guests. 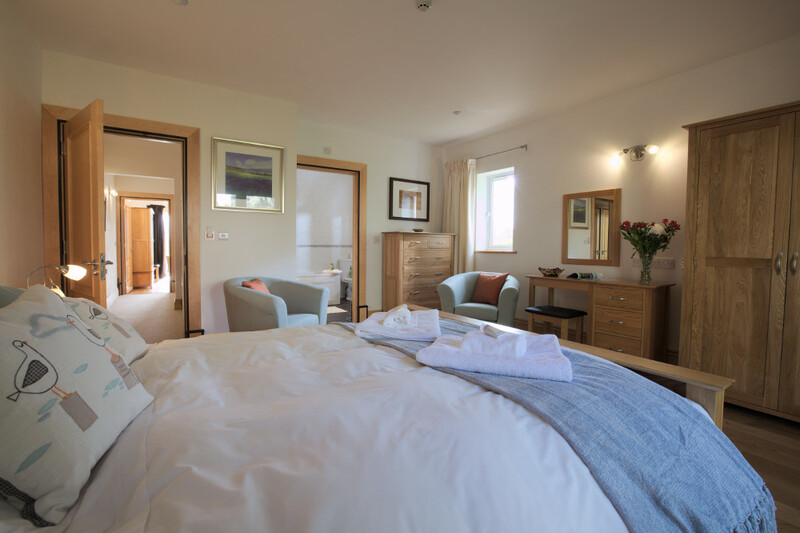 Each room is furnished and floored in solid oak and both beds have individual, handmade quilts. You have a shower-bath in each bathroom, bidet, wc and wash basin. Walk downstairs from the bedrooms to your well equipped kitchen and spacious sitting/dining room, furnished for your comfort and style. Step out onto your own terrace from any room. 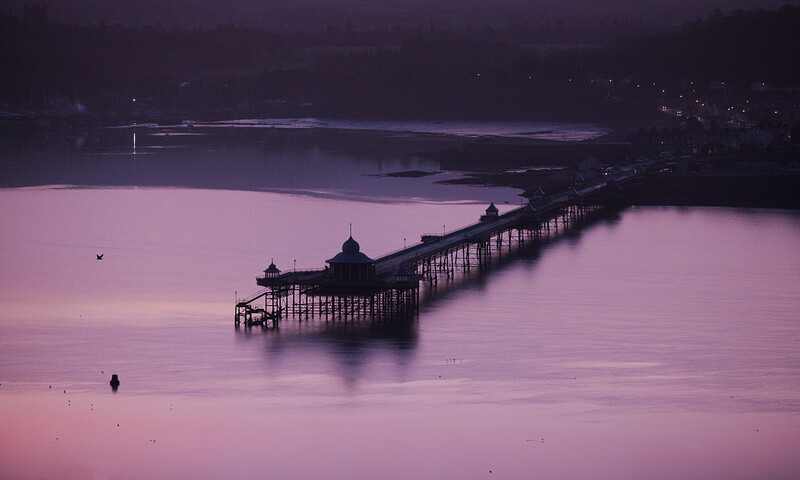 South-facing rooms share the beautiful panorama of Snowdonia, the Menai Strait, and Bangor Pier. 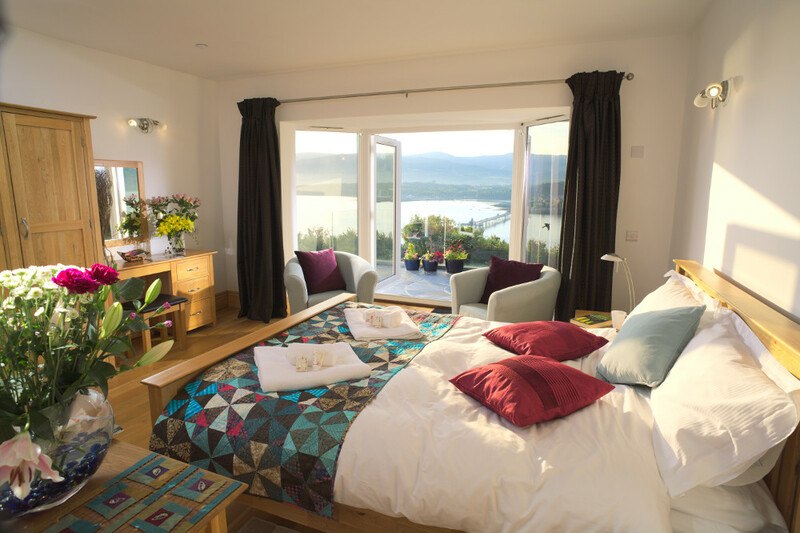 You have a clear view of the sea and mountains through the glass balustrade, right from your bed in the front bedroom! Step out through your sitting room doors onto your private paved south-east facing patio, large grassed area and wildlife pond. Put the parasol up, take a seat at the table, pour a drink and relax. You’ve arrived! We run Coed y Berclas privately and we live on site so ‘maintain the standard’. 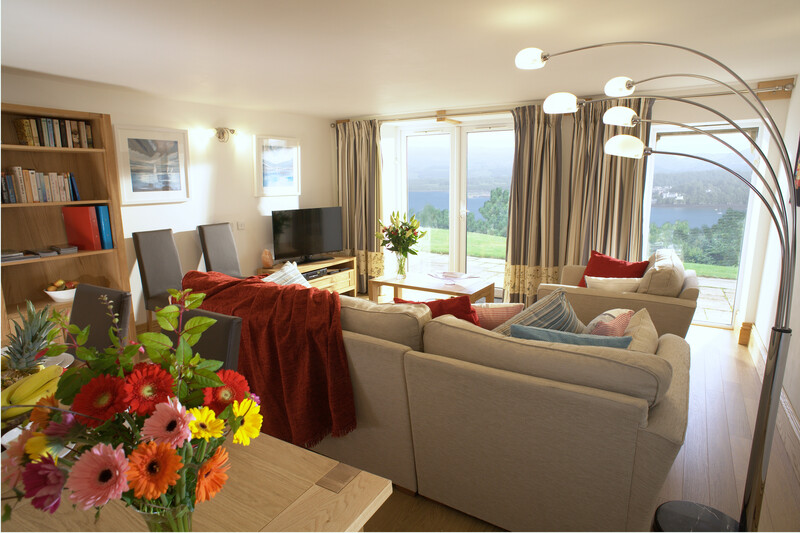 Coed y Berclas Apartment is available for adults and children aged 12 years and over. For the benefit of our guests, Coed y Berclas Holiday Apartment and environs are strictly for Non Smokers and strictly No Pets.